As confusing as the impending move of NBC’s Boston affiliation already is, Tuesday morning’s announcement about the Peacock’s new landing spot seems to have just added to the confusion. Over the air – This has been NBC’s weak spot, and for all the talk about how Comcast will buy this or that other station, it’s going to war with the signals it has, not the signals it wants to have. 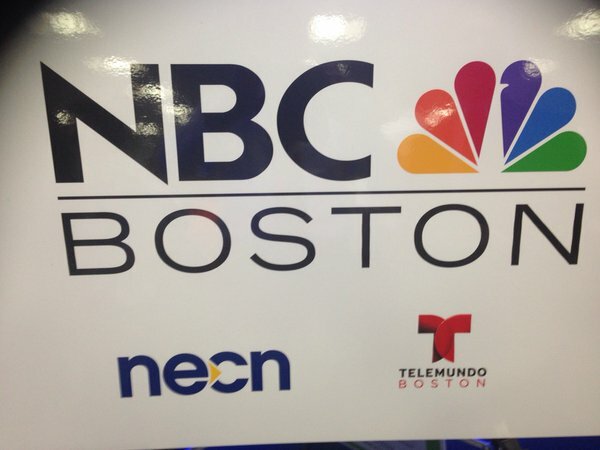 That means WNEU (RF 34), the Merrimack, N.H.-licensed signal that’s been carrying Telemundo, will be the only full-power home of NBC Boston, serving viewers in New Hampshire and (if they’re equipped with a decent antenna) parts of the Merrimack Valley. For viewers within Route 128, NBC Boston will be on WBTS-LD (RF 46), the low-power signal NBC is buying from ZGS. If you’re in Worcester or on the South Shore? NBC acknowledges you probably won’t be seeing them over the air for now. But wait – it gets more (or maybe less?) complicated! Somewhere along the line – and we’re not sure quite where – WBTS got FCC permission to use virtual channel 8 rather than its former analog channel 32 or WNEU’s virtual 60. And that means viewers who get the WBTS signal will see NBC on 8.1 once they rescan, right next to NBC’s former home on WHDH (Channel 7). Viewers who get the WNEU signal will see NBC over that transmitter on 8.2, in part to avoid conflict with Maine’s WMTW (Channel 8) and in part to avoid duplicating WBTS’ 8.1. The new NBC Boston 8.x signals will light up on November 10 with a “Countdown to NBC Boston” preview ahead of the full launch Dec. 31. Cable and satellite – Comcast has a bigger advantage here, since it can put its own NBC programming wherever it wants on the region’s dominant cable provider. That spot will be channel 10, with the HD feed on 810, and that will push co-owned NECN HD to channel 840. It appears NBC has reached agreements with satellite providers to get NBC Boston on channel 10 as well for Boston-market customers. As for a news lineup? Derrick Santos has that scoop over at New England One – and we’ll be back with updates here as we learn more about where NBC may end up on other providers such as RCN, Verizon and Charter, and of course with our full NERW report on Monday. Anyone from the Boston area can come up with their own headlines for this story, especially if they know the history behind all of this. I think the phrase Lobster F*ck seems appropriate.